Nokero is proud to announce that it is a finalist for ‘Colorado Companies to Watch.’ Nokero represents the global solar industry at large as well as its home state of Colorado; Nokero’s success has been in part due to Coloradans who value sustainable business practices and ‘green’ energy solutions. Governor John Hickenlooper said, “You look at these companies and what they have done and what they are doing, and it’s incredible." Nokero is proud to announce that it is a finalist for ‘Colorado Companies to Watch.’ Sponsored by UMB Bank, the awards program recognizes Colorado businesses that have made a successful contribution to the state’s economy. To qualify as a Company to Watch, businesses must be privately-held, headquartered in Colorado, and bring in $750,000 to $50 million in sales or working capital annually. The companies must develop valuable products or services, create quality jobs, enrich the communities in which they work, and benefit their industry as a whole. Nokero’s patented solar light bulbs have been sold in 120 countries worldwide out of its Denver headquarters. 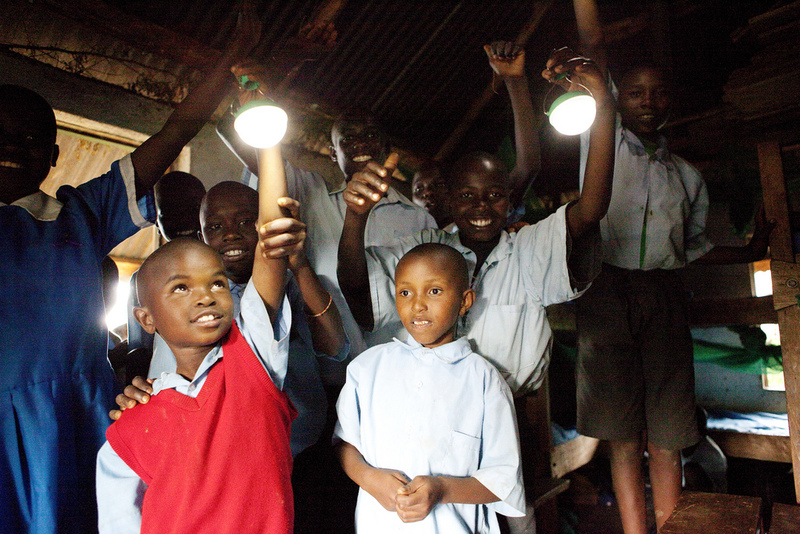 Nokero helps to enrich lives around the world through sustainable and efficient energy solutions. Nominated as a company worth watching, Nokero represents the global solar industry at large as well as its home state of Colorado. Nokero’s success has been in part due to Coloradans who value sustainable business practices and ‘green’ energy solutions. The 2014 Colorado Companies to Watch will be announced and honored at the Marriott City Center’s annual celebration on June 20 in downtown Denver. 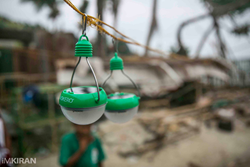 Nokero (short for “No Kerosene”) designs, manufactures and collectively distributes safe, affordable, and environmentally-friendly solar based technologies. Our solar lights and solar battery chargers are high-quality and low-cost, eliminating the need for harmful and polluting fuels around the world. Nokero solar products have been distributed in 127 countries worldwide, since 2010. For more information, please visit http://www.nokero.com and follow @Nokero on Twitter. Nokero helps families worldwide. 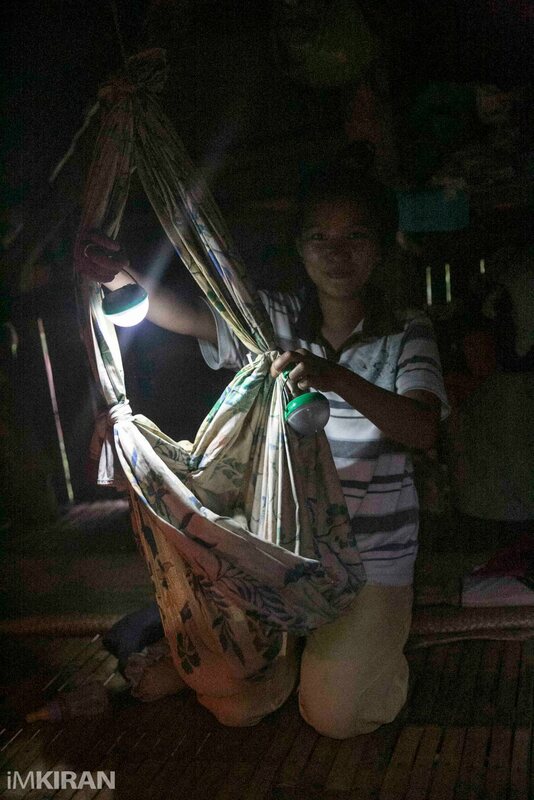 This young mother in the Philippines will never have to expose her newborn baby to kerosene thanks to Nokero solar lights. 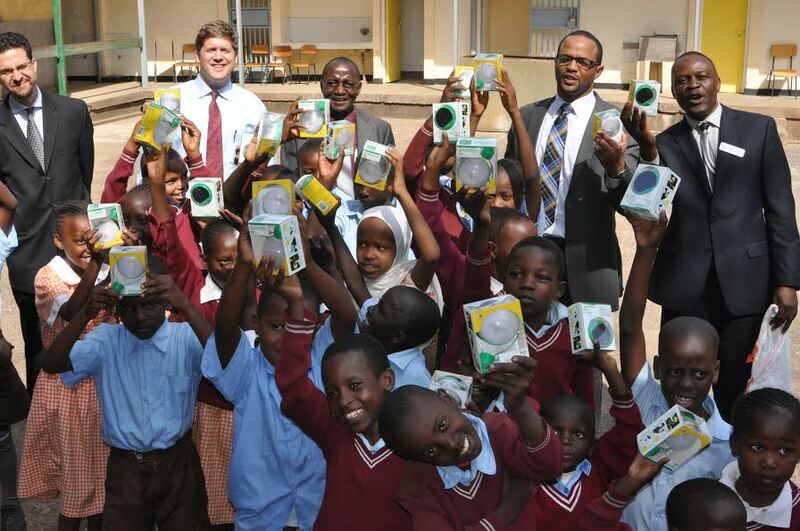 Photo Credit: iMKIRAN Denver Delegates visit Nairobi to present Nokero solar light bulbs Boys at an off-grid school in Kenya used to live in constant danger of kerosene fires, now they sleep soundly with their own, individual Nokero solar light bulbs by their side each night.